GUIDO TABELLINI co-chairman of the Steering Committee of the Ideas for Growth Forum, has been professor of economics at Bocconi University since 1994, where he has been Rector from 2008 to 2012. Previously, he served as Professor at Stanford University, U.C.L.A. (University of California at Los Angeles) and at the Universities of Cagliari and Brescia. Guido has been researcher and consultant in various international organizations and research institutions, such as the International Monetary Fund. He has been Member of the Board of Economic Experts for the Prime Minister’s Office, of the Privatization Committee and of the Advisory Panel on Public Expenditures to the Italian Ministry of Economy and Finance. He is a fellow of the Econometric Society, a foreign honorary member of the American Academy of Arts and Sciences,and a Member of the Academia Europaea. 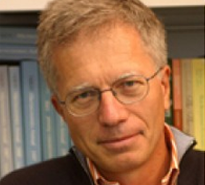 Recipient of the Y. Jahnsson Award, conferred by the European Society of Economists, he has been Chairman of the European Society of Economists (2005). Author of numerous scientific publications on macroeconomics and macroeconomic policy, international and public economics. He is an Editorial writer for II Sole 24 Ore. He is part of the board of directors at CIR, FIAT Industrial and Mattei Foundation.